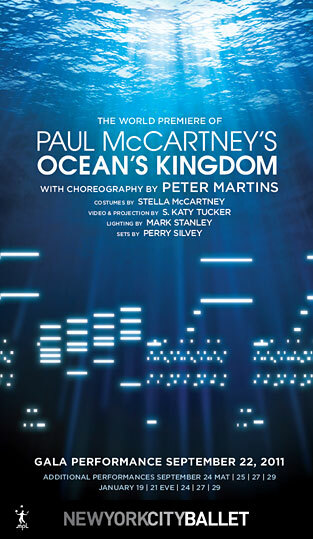 Paul McCartney’s first ballet score, “Ocean’s Kingdom“, with choreography by the New York City Ballet’s Ballet Master in Chief Peter Martins, will premiere at the Lincoln Center in New York on September 22. 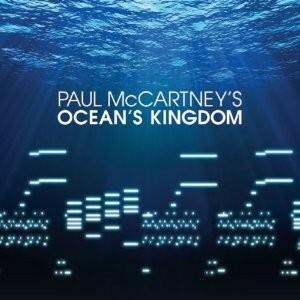 “Ocean’s Kingdom” marks the first time that McCartney has composed for dance, and Martins’ choreography will follow the music’s libretto of a romance between lovers from conflicting kingdoms. The production’s costumes are designed by another McCartney, daughter and leading fashion designer Stella. Its also the first time she has done costume design for the theatre. The album containing the music from the work is to be released on October 4. Sir Paul will be attending the premiere in New York on September 22. This entry was posted in Beatles, Beatles Collecting, Beatles Music, Beatles Related, Paul McCartney and tagged Beatles, Beatles Collecting, Beatles Related, Music, Ocean's Kingdom, Paul McCartney by beatlesblogger. Bookmark the permalink. Paul extending his already varied canon of music composition. Filling the world with more glorious melody! !